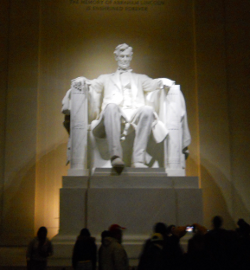 What if Abraham Lincoln Had Been A Critical Theorist? Within a comparatively limited temporal and spatial domain, this nation-state transformed a hegemonic praxis based on a conceptualization of the primacy of human agency, contingent on a generalized normalization of rights and capabilities among a class- and gender-defined bourgeoisie. In light of the violence and contestation of the past two years, a discourse has arisen over the persistence of this specific set of ideologically-based relations. Within the spatial context of this contestation, this ecological space will remain unevenly-developed for the social practice of fetishizing individual suffering as a vicarious justification for continued collective hegemony. This practice fits within the normative, Judeo-Christian discourse that has been dominant since of the inception of this nation-state (Jefferson, 1776). However, closer examination of this practice reveals a contradiction between the inevitable manifestations of the underlying ideology and the structures supporting the consumptive imperative, producing a collective sense of inadequacy that drives a positive feedback loop. While this particular contribution to the literature is temporally contextualized and constrained, and will have little effect on the larger structures of globalization, it represents a specific disursive instance that will fit within a larger teleological framework, as well as a culturally-persistent artifact of the periodic crises of capitalism. Indeed, the feedback loop mandates continued surrender of individual agency to the service of the growth imperative, in response to discourses that fetishize previous struggles between competing tribal alliances. Thus, within a statist praxis, the theologically-framed discursive productions of the illusion of agency can persist within the constraints of the dialectic between socially-produced institutions as a multi-generational project, ad infinitum.